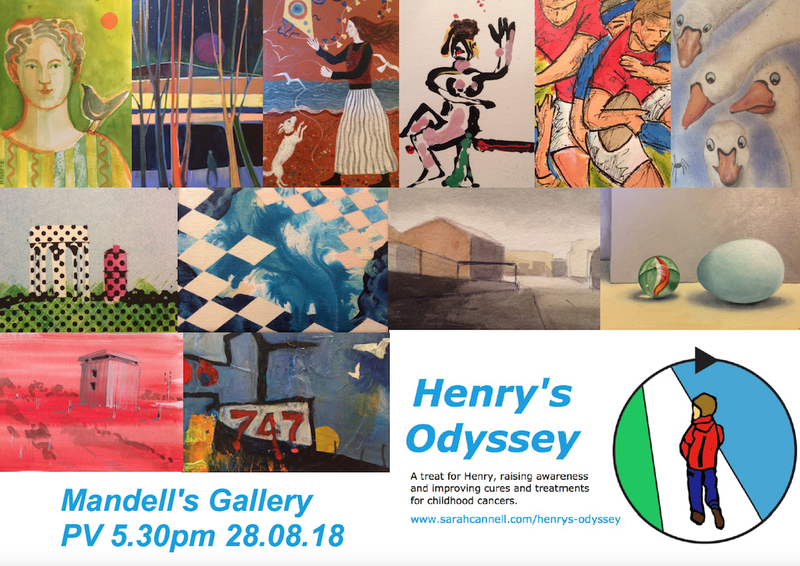 Over 300 postcard sized original artworks will go on sale for £40 each to raise money for Henry’s Odyssey; finding cures and improving treatments for Childhood Cancers and an end of Leukaemia treatment adventure for 9 year old Henry in 2019. Mini Masterpieces have been kindly donated by artists from UK, Spain, America, Australia. Artworks have been created in a wide variety of mediums such as painting, drawing, woodcut, linoprint, photography, textile, glass, knitted metal, gesso, collage. Artworks go on sale 28.08.18 at 5.30pm at Mandell’s Gallery, Elm Hill, Norwich. Doors will open at 5.30pm and all the works are £40 each. To avoid disappointment please arrive early if there is a particular artwork you would like to buy. If it is quite busy we may need to limit numbers in the gallery but please do join us for a drink and what will be an exceptional exhibition of artworks. Exhibition continues daily until 01.09.18, 5pm. Mini Masterpieces have been kindly donated by artists from UK, Spain, America, Australia. to raise money for Henry's Odyssey; finding cures and improving treatments for Childhood Cancers and an end of Leukaemia treatment adventure for 9 year old Henry in 2019.